Present were: Mayor Wagner, and Council Members, Shea, Fox, Khan, and Kuo. Irvine has developed a program of creating safer streets and crosswalks around schools and throughout the city. A school and community traffic safety education program has been established. New crosswalks are being created, more school crossing guards have been posted around schools, and landscaping changes are being made to increase safety for children walking to school. Police have increased ticketing for traffic violations. Kuo stated that his plan is to educate himself about places and organizations, including non-profit organizations, that are located in Irvine by visiting at least 100 sites per year. Kuo reported on the locations that he has already visited since being elected to the City Council. Shea stated that the city has a clean-up issue that must be addressed, and this can be done by expanding transparency in city policies and operations. Shea stated that the purpose of the contract modification is to preclude City Council members from working as paid consultants of contractors that work for the city. Shea revealed that it was Jeffrey Lalloway, a past city council member, that provided consultation services for a major city contractor. 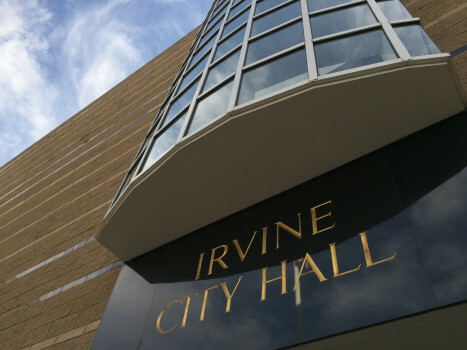 Public Comments requested changes to Irvine’s Code of Ethics. A comment requested that the City Council members not lobby for anyone other than the City. Public comments stated that City Council members and Commissioners, not just city contractors should be accountable for their actions, and their actions should be required to meet ethical standards to avoid conflict of interest situations. Comments suggested that City Council members and Commissioners disclose their conflict of interests, and that City Council members and Commissioners recuse themselves from decisions on items connected to entities that they provided consulting services to. Comments requested actual consequences for violations of the contract provisions and of the Code of Ethics. Comments also requested the establishment of an independent Ethics Commission. Kuo asked what the consequences are for violating contract and Code of Ethics provisions. He said that the consequences appear to be just having the City Attorney tell the City Council members to stop providing services to contractors. Kuo asked how City Council members should respond if businesses and city contractors ask them questions. City Attorney Melching said that the Code of Ethics provides that City Council Members cannot provide consulting services. City Council Members would not be prevented from answering questions. City Attorney Melching stated that the City Council could choose other consequences. Fox said that she is pleased to have restrictions placed on city contractors, but not on City Council Members as restrictions on providing services to city contractors could impose restrictions on the activities they provide in fulfilling their personal employment responsibilities. Fox stated that she therefore wishes to place the onus on city contractors. Khan stated that she is in favor of clarifying contract provisions, but there is a need to move forward to provide more transparency. The motion to approve Shea’s proposal passed 5-0. Reduce the need for accepting special interest funding by reducing campaign costs by means of establishing district elections and increasing the size of the city council to 7 to 9 council members like most cities the size of Irvine. The Irvine City Council needs to address the members that are being influenced on their decisions regarding the Veterans Cemetery … that is the MAJOR problem that should have been addressed!